Will your floor support the weight of the safe? Do you need different kinds of protection such as paper, or money? Do you need the security of a burglary rated safe? 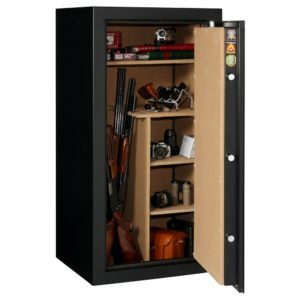 Do you have special needs for storage, such as guns or digital media? Who should have access to your safe? Will you need a delivery service and installation? Is a Fire Proof File more appropriate for your needs? Contact a safe professional to help with your specific needs as there are many things sold as fire protection that are not up to the task.